Fearne Cotton enjoys mixing and matching the most unexpected pieces. That much we’ve come to realize after seeing the radio personality head to the BBC Radio 1 studios practically every single day while decked in oddly mixed ensembles for the past several seasons. For some reason, however, nothing prepared us for the look she put together when she attended the Glastonbury Festival last week. The blond cutie didn’t just combine patterns, she upped her style game and layered on multiple statement pieces using separates and accessories painted with look-at-me hues and details. For the outing, Fearne wore black leggings, a striped black-and-white shirt, and some Hunter rain boots. She then layered a very colorful jumper over the combo, and topped the outfit with a denim jacket embroidered with pink and red flowers. 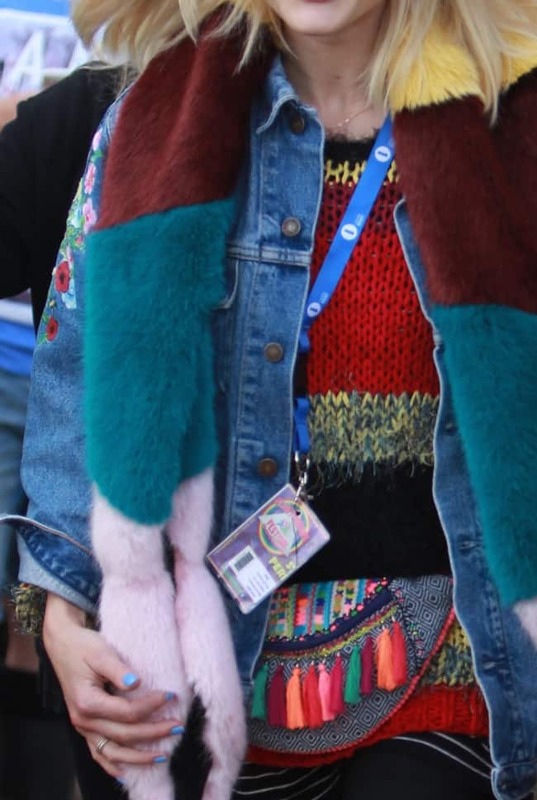 Not contented with the result she was getting, Fearne used a multi-hued fur scarf over the outfit, then punctuated the mix with a tasseled, embroidered, and very colorful fanny pack worn at the hip. Simply put, Fearne’s look last Friday was a cocktail of sorts. But interestingly, her concoction worked. How do you like Fearne Cotton’s Glastonbury style? Do you approve? You know what? We’re not into belt bags, but she made the whole combination work — per usual. Would you like to take a cue and layer on multiple statement pieces like Fearne here? Note that the outfit will work best if you live in a city that isn’t too warm (read: London). 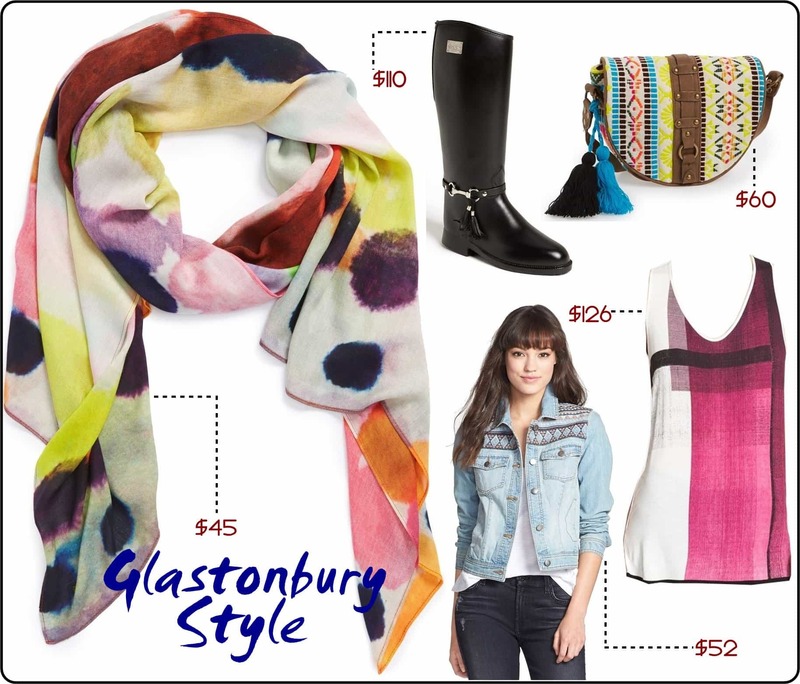 If you wish to give it a go, here’s our own take on Fearne’s uber-colorful Glastonbury style. Will you give this a go?